Each year, Irvine Public Schools Foundation (IPSF), awards scholarships to students who exemplify the qualities of leadership, community service and academic excellence through its annual Kevin Armstrong Memorial Scholarship, Lee Bryn Brooks Community Service Scholarship, Rising Moon Scholarship, IPSF Scholarship for the Arts, and IPSF Student Athlete Scholarship. Ryan Nhu, a senior at Northwood High School, is the recipient of the Dr. Kevin Armstrong Memorial Scholarship. Ryan is on the Varsity Volleyball team and involved in clubs including Aid for Africa and passionate about social justice and community service, serving on Student Government where he teaches others the importance of understanding, open mindedness, and acceptance when faced with diversity. In the fall, Ryan will be attending University of Southern California, double-majoring in Law, History & Culture and English. 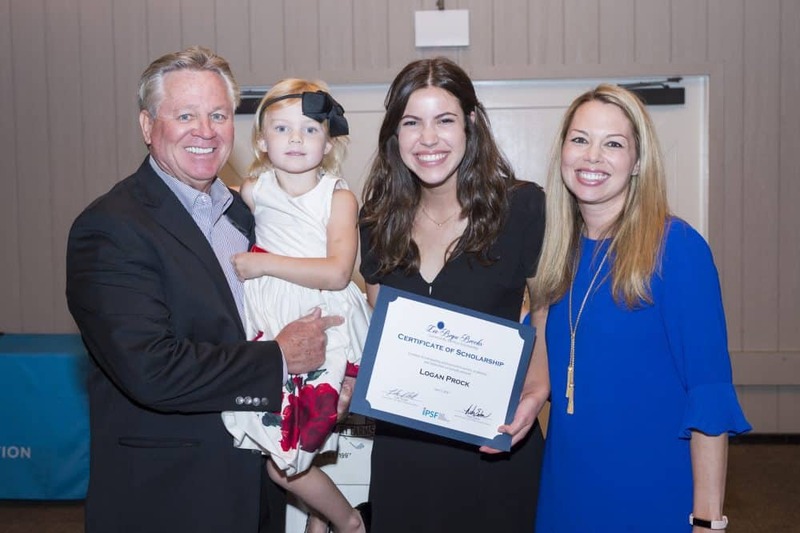 Logan Prock, Woodbridge High School- Lee Bryn Brooks Community Service Scholarship – $5,000|Logan Prock, a senior at Woodbridge High School, has had a passion for volunteering ever since she visited Tijuana for her first house build trip at age eight. Since then, she has worked with various nonprofits as a part of National Charity League, and has learned that having a servant’s heart is a lifelong commitment. Logan plans to major in Neuroscience or Human Biology at Vanderbilt University this fall and plans to pursue community service through Doctors Without Borders, volunteering abroad. Stephen Chen, a senior at Woodbridge High School, is this year’s recipient of the IPSF Student Athlete Scholarship. In addition to his academic and athletic accomplishments on the Varsity Tennis team, Stephen is a passionate musician, has been active with the Red Cross Club and has been volunteering for the IPSF Instrument Rental Program since he was 11 years old. Stephen plans to attend UCLA as a statistics major. Woodbridge High School senior, Lauren Spear, has been selected to receive the Rising Moon Scholarship awarded by our partners at the Crescent Moon Foundation. As captain of her high school water polo team and a dedicated volunteer at the Blind Children’s Learning Center, Lauren is extremely passionate about helping others and leading with integrity and compassion. Lauren will be attending Texas Christian University in the fall, and is interested in studying speech and language pathology. Ryan discovered his passion for the arts at the age of five when his mother drove him down to Los Angeles to tag along for his sister’s meeting with a talent agency. The agent asked if Ryan was interested in acting, and if he would like to audition for them. The agency signed him and from that day on, Ryan was hooked. Participating in numerous commercials, improv and musicals, inspired Ryan’s second love, writing, both music and screenwriting. During Ryan’s sophomore year, he learned the power of the arts, and its ability to heal and help you get through hard times after the tragic loss of a friend to suicide. Having the ability to write and perform allowed Ryan to express his emotions in a healthy way, which enabled him to move forward and also inspire others.